Broadcast deals for kids programming were struck on the opening day of the Asia TV Forum in Singapore yesterday. One agreement saw Sinagpore-based August Media Holdings sell season one of preschool series Ella Bella Bingo to Qatar-based Al Jazeera Children’s Channel (aka Jeem TV). The show comes from August and Norway’s Kool Produktion. 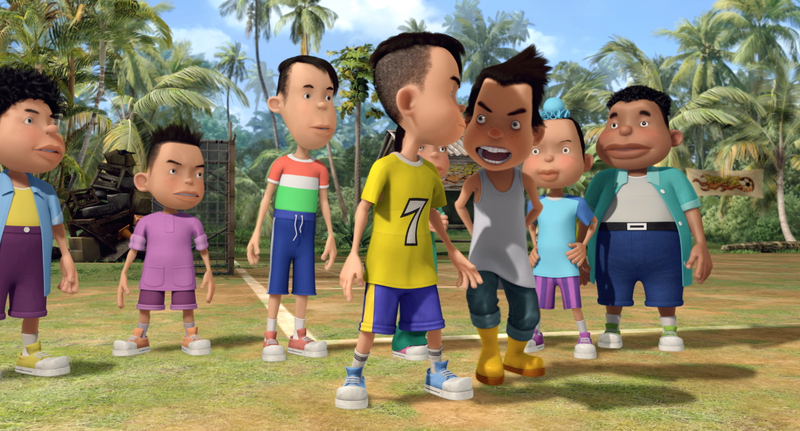 Another deal saw Singapore broadcaster MediaCorp acquire a pair of shows from Malaysia’s Animasia for its free-TV Bahasa Melayu-language channel MediaCorp Suria. These are football-themed 26x22mins series Supa Strikas and the 1x95mins Bola Kampung: The Movie, the latter of which will broadcast in June ahead of the FIFA World Cup 2014 in Brazil.